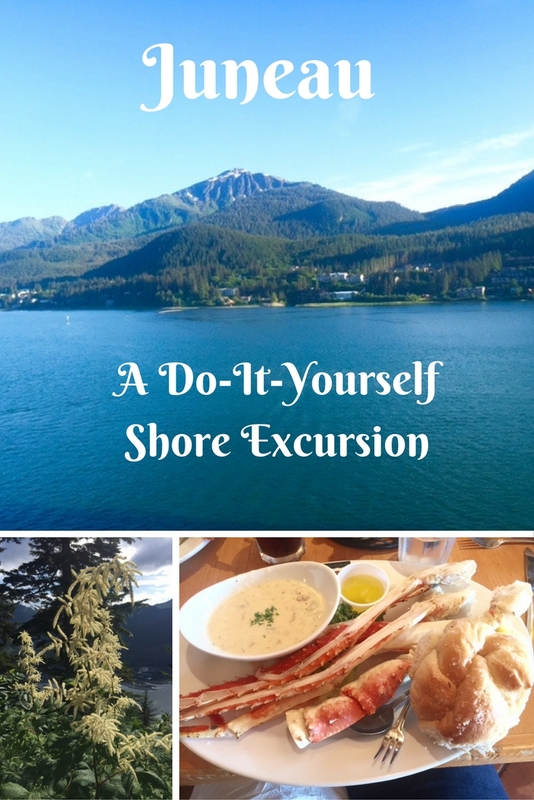 The second port on our Alaskan Cruise was Juneau, Alaska and we opted for a do-it-yourself shore excursion instead of one booked through the cruise line. The weather was clear, warm and sunny, making it the perfect day to take the Mt. Roberts Tramway up 1800 feet to the top of Mt. Roberts. Tickets and entrance to the Tramway are a short distance through the shopping district near the port. It’s an easy walk. We boarded the gondola at the base of the mountain and had a smooth, 5-minute ride up 1800 feet to the top of Mt. Roberts. 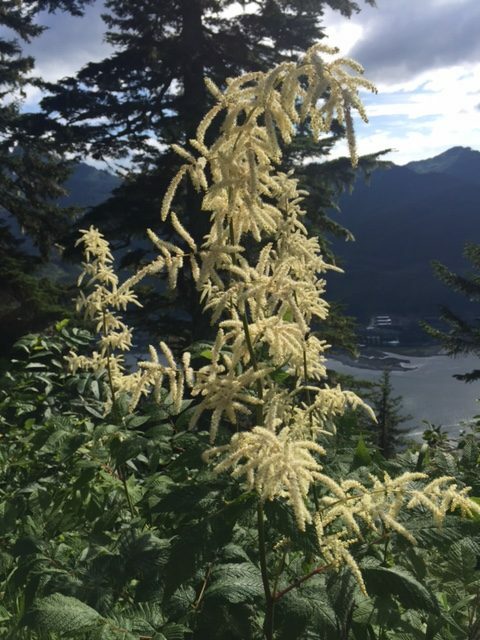 The views of the Gastineau Channel and surrounding areas were stunning. When you get to the top of Mt. Roberts, there is much to see and do for the whole family. All facilities and hiking trails are ADA accessible. Stop at the Nature Center (more like a gift shop with all types of books and gifts related to Alaska’s natural habitat) and pick up your hiking guide. Take a hike! The hiking trails are beautifully maintained with scenic overlooks at many points along the way. Visit Lady Baltimore, the beautiful bald eagle at the Juneau Raptor Center. Pick up souvenirs, clothing and one of kind pieces of art at the Raven Eagle Gifts and Gallery. Enjoy fresh Alaskan seafood and locally brewed beer at the Timberline Atop Mt. Roberts. It was dinner time when we came down from Mt. Roberts and we were determined to have some King Crab Legs while we were in Alaska. About ½ a block from the Tramway on the waterfront is Twisted Fish Company Alaskan Grill. Our party enjoyed the DELICIOUS King Crab Legs, but there are plenty of options – all kinds of seafood, steaks, burgers, pizza and other casual fare. It was the perfect ending to our do-it-yourself shore excursion in Juneau! Is an Alaskan cruise on your bucket list? Pin this post! You can follow me on Pinterest here. I have several boards about travel, including one just for Alaskan cruises! Nikki – the pictures don’t do it justice. We didn’t get to take a trip like this until we had raised kids, paid for college and weddings. Put it on your list for someday! That would be a tough choice! Put Alaska on your list for some year! Very nice. I love Bald Eagles. Did you see any there? We did see one that was in captivity because it had been injured. It was a gorgeous bird. We are considering Alaska for next summer. This is certainly enticing! Michele – DO IT! I have 3 other friends besides me who have taken Alaskan cruises this summer and they all love it! That must have been just so awesome to see all that beautiful scenery. Your pictures are great, they leave me wanting more. It was a fabulous trip. It was so beautiful, it was hard to take a bad picture. So glad we connected at the Mostly Blogging Party! Thanks so much for visiting my blog and commenting. An Alaskan cruise is just fabulous. I hope you get a chance to do it. Following you on Twitter! We loved our cruise and traveling to Alaska, Vancouver and the Yukon in Canada. The scenery and wild life were spectacular. We did our own thing in Juneau, also, and ended up buying a caribou fur hide that we had shipped home. We keep it at the cottage and it’s a reminder of our wonderful trip. I am following a friend’s cruise on Facebook this week. Jealous and I’ve just been! Such a gorgeous place. Sounds like you had the same wonderful experience we did, Carol. This is the first time we did a few on our own. We stayed close to the ship for these so we wouldn’t be late getting back. I’ve always wanted to travel to Alaska and your trip gives me more of a reason. Maybe someday. For now I’ll live vicariously through you! Put it on your bucket list, Cathy. It’s a trip of a lifetime! I loved my cruise to Alaska and we probably will do it again. This is a great itinerary for Juneau. Oh my, your photos are to die for! I have never been to Alaska but I hope to get there someday! Helene – put it on your bucket list! Those photos don’t begin to do it justice. Just beautiful! 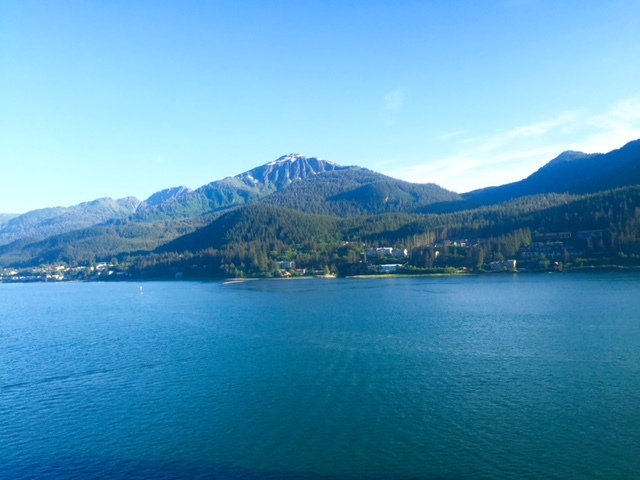 We loved our Alaska cruise and your post brings back so many great memories. It also makes me want to go back! Lois – I feel the same way every time I see friends’ pictures of their Alaskan cruises! Cathy you have everyone, including me, wanting to go to Alaska. We are going to feature this post on Friday. 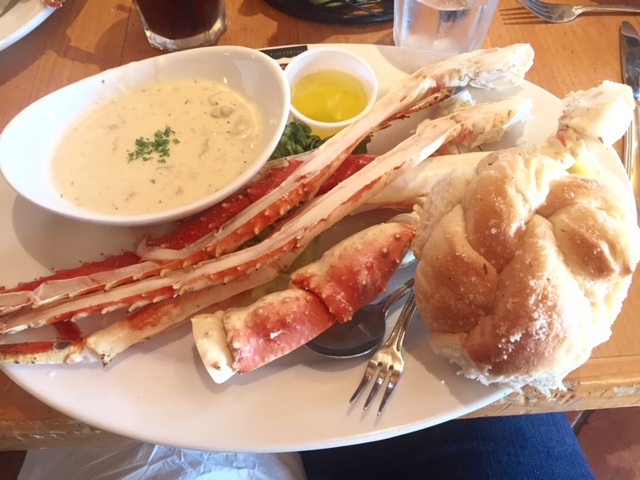 The King Crab Legs make my mouth water! OH so good! Alaska is definitely on my bucket list! It is so beautiful! A family friend of ours accompanied their family in the US for a trip to Alaska and were so excited about it. I can see why! Thank you for the gorgeous photos! Vidya, I’ve had several friends go this summer. They all say it’s been a trip of a lifetime. I agree! This is SO on my bucket list! Your photos are gorgeous! Beautiful scenery, and those crab legs look soooo delicious! Looks like an amazing trip! 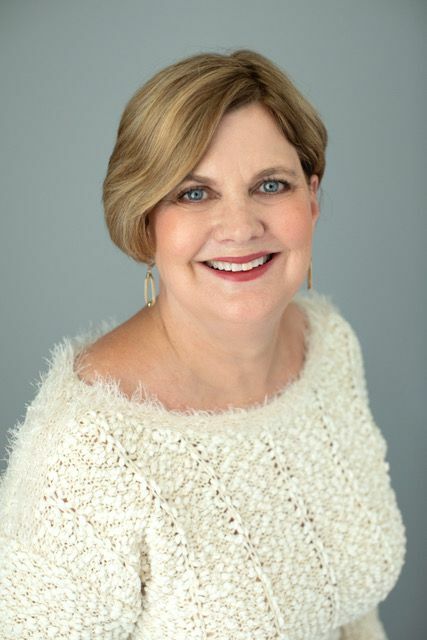 Carol – those crab legs were the bomb! And no better place to get them! This looks like an awesome trip! And it’s on my bucket list! We’re shooting for a trip there next summer. Carol – I hope you get to go. It is an awesome trip! We did an Alaska cruise a few years ago and it was one of the best cruises we have done. Sounds like your trip was similar to ours. It was a trip of a lifetime. We had the best time.